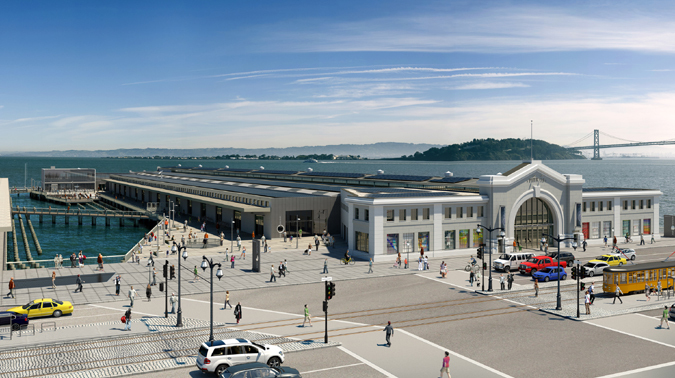 The Exploratorium, that Mecca of Museums, will be officially reopening at its new location on April 17th. I'll bet that there are still lots of punch lists being completed at Pier 15 before that public opening, but I'll also bet that most of the people who work at the Exploratorium won't be thinking "Well, now we're done ..." Because the "new era" is just beginning. But there's one important thing that the media and the visitors (including many museum professionals) might miss when they're walking around all googly-eyed visiting the new digs. each person who works or volunteers there. Both in front of, and behind, the scenes. Those "old timers" who carry some of the culture from The Palace of Fine Arts to the Piers, and those "new timers" and "future timers" who will be creating an evolving culture at the Exploratorium. So I wish hearty and heartfelt congratulations to the many, many people who have worked so hard to make the move happen! If all the rave pre-opening reviews on the InterWebs are any indication, the "new" Explo is going to be a smash hit!